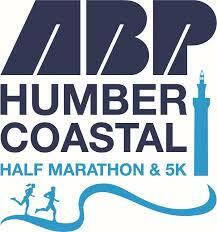 Today we drive up to Cleethorpes to take part in the second running of the Humber Coastal Half Marathon. To be fair we both need the practice or perhaps we were both just swayed by the offer of a 99 ice cream when you finish. Possibly the best goodie bag ever, assuming that they don’t actually put it in the goodie bag. That could get messy. The race all started very promisingly for me as we headed out of Cleethorpes, through a caravan site and on to the open road. I was sticking as closely as I could to the 1:45 pacer but he was one of those who doesn’t stop at drinks stations and doesn’t vary his pace through them either. So our group of 20 or so fragmented rapidly once we hit the first drinks station. By the time we’d managed to catch him and reassemble about a mile later we were about six men\women down. The same thing happened at the next drink station but again I got back on and we went though 8 miles in 1:04. I was on pace for a 1:45 finish. Then suddenly it became clear that I had missed out on reading one key part of the race instructions. The bit that said this was a multi-terrain race. So mile nine saw us heading down a farmer’s track which got progressively rockier and rockier as we approached the coast. I simply wasn’t going to risk my ankles by keeping up with our esteemed pacer, so I had to back off. I thought maybe I could catch him up again later but no. The rocks gave way to about two miles on uneven grassland along the coastal path and then we briefly (thankfully) ended up on the beach before finally I was able to sink to my knees and kiss terra firma again. Then it was back to Cleethorpes and a finish on the sea front. So no, I didn’t get to see him again and I finished in 1:47:49 but I still had two ankles and a well earned ice cream. Then we rush back home, the Lad has an agility training session.